To close the month, we'll be offering an event for the little ones. On February 25th at 18:00h the greatest show on the island, 'Inside Out', comes to Siam Mall . 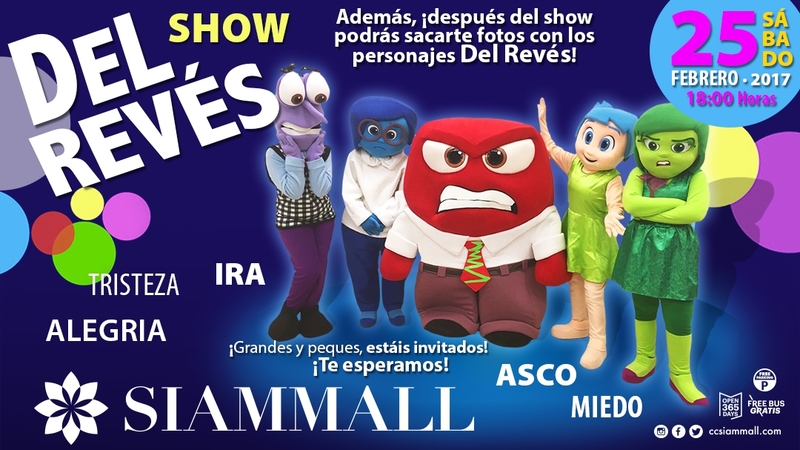 After the show the little ones will be able to take a picture with all the characters!